SILVER SPRING, Md. 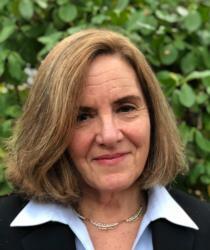 (CNS) — Anna Marie Gallagher, an experienced litigator and immigration law expert, has been named the news executive director of the Catholic Legal Immigration Network Inc., effective Feb. 1. Gallagher will succeed Jeanne Atkinson, who has headed CLINIC since March 2013. Atkinson previously announced her plans to move to Italy to accompany her husband to his new position there. She will remain with CLINIC through the transition. Bishop Kevin J. Vann of Orange, California, who is chairman of CLINIC’s board of directors, announced Gallagher’s appointment Nov. 27. Gallagher’s “experience, enthusiasm and commitment to the mission of CLINIC is something that all of us on the selection committee noticed during the hiring process,” said Bishop Vann, who headed the hiring committee that selected the new executive director. Gallagher joins CLINIC from her current post as a shareholder and head of litigation practice at Maggio, Kattar, Nahajzer + Alexander, a Washington-based firm focused on immigration and nationality law. “We are grateful for Anna’s hard work on behalf of our clients and her role within the firm,” it said. Over the course of her career, Gallagher has practiced in the field of immigration and refugee law in the United States, Central America and Europe. She has worked in private practice, the nonprofit sector and academia. Gallagher has written numerous books and articles on migration and refugee practice and policy. Bishop Vann also thanked Atkinson “for her leadership and friendship during her tenure as executive director for CLINIC,” which is based in the Washington suburb of Silver Spring.